Marketing Minutes with Miss Kemya | Listen Free on Castbox. Marketing Minutes with Miss Kemya is your daily dose of marketing tips and insights for solopreneurs and small business owners. From blogging, to social media media, email marketing, and general entrepreneurial insights, tune in to keep up with the changing digital landscape. 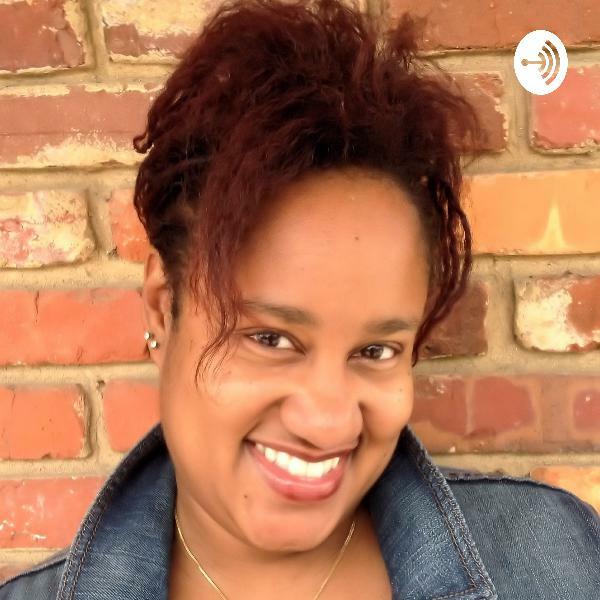 Tune in to hear Miss Kemya, Chief Marketing Sparkler at MarketingSparkler.com as she shares the what's, why's and how's of digital marketing, so you can stop wasting time and start being more productive with your marketing. To create memorable email marketing messages, it’s important to focus on your audience while also aiming to promote your products and/or services in a way that appeals to them. You want them to remember you after they close the email, especially if they choose not to click through to answer your call to action. How to create those memorable messages is as easy as following the eight tips we discuss on today's episode of Marketing Minutes with Miss Kemya. Video has become a driving force in content marketing. One only has to look as far as YouTube's success to see that video content is a thriving entity all on its own. In fact, you can create a thriving business using mostly video as your main type of content. But, if you normally just use textual content, the thought of using video can be daunting.On today's episode of Marketing Minutes with Miss Kemya, we're going to remove all barriers to using video for your business! Project management is very important to remember, no matter how small the project. Even when you are doing a project alone, there are many aspects that need to be organized to keep on track of the project.Every project, even when it’s one that you’re doing alone, has very similar requirements - some more and some less, but they all have things that need to be organized.The very definition of project management includes organizing as an important part. Even when you are running a project alone you’ll need to manage the project in a way that keeps you on course to meet your deadline, and that requires organizing. On today's episode, we're going to discuss common project requirements, and why being a solopreneur makes project management an important system to implement. Do You Really Have to Manage a Project When You’re the Only One Involved? We all have bad habits. Some bad habits are of a personal nature, as in we eat too much, some drink too much, some of us don’t know when to shut up. I could go on forever…But I want to address one of the single most bad habits that plagues entrepreneurs. This bad habit keeps us stuck in the same lane, even though we say we want a change, is easy to succumb to and limits our life chances, is based in fear and potentially contagious, and finally, this bad habit is one of the hardest habits to identify and break.The one bad habit that requires your immediate attention is... well, you will have to tune in to today's episode of Marketing Minutes with Miss Kemya to find out! And more important, what you can do about it, starting today! Keeping content fresh is an important part of making content marketing work for your business. A really fast way to boost the effectiveness of the content you already have is to freshen it up, and repurpose it. Content gets old, and information becomes outdated. That doesn’t mean it needs to be deleted, though - it can be salvaged and continue to provide excellent results. Likewise, content can be reused and repurposed in other ways into new formats that help produce more traffic too. Tune it to today's episode for specific way you an repurpose and refresh your content, starting today! While content types change, the value of content never changes. When you realize the value of the content that you create, you’ll take the time to create it right. This goes for your social media posts too.After all, remember that humans are reading the content, not robots. Therefore, even though you need to use keywords in the text, it doesn’t mean the content should be boring and generic. Levels of social media engagement largely depend on the value of the content being shared.I don’t want to read boring, generic content, do you? Take a look at the different kinds of content you’re posting. Are you providing helpful tips, insights, asking questions, making people laugh, or making them look at themselves in the mirror? Pull an emotional response out of your audience and you will get engagement. At the heart of the matter is commerce. Let’s face it, humans are buyers, not robots. Robots do not join your mailing list, or whip out credit cards. Therefore, your content must engage a human audience, and convince a human prospect to take ACTION. On today's episode of Marketing Minutes with Miss Kemya, let’s look at 5 ways to increase your social media engagement rates. To read the full blog post, visit http://bit.ly/2msL2Tm. Complacency and the desire to make more money aren’t compatible. If you want more money, you don’t get to be satisfied with the status quo. Since money isn’t going to rush toward you when you’re complacent, you have to do something about it.You have to be proactive. You have to do something to change your mindset so you develop a hunger for success. What this means is that you have to gain more knowledge.When you’ve reached a certain skill set, nothing is ever going to change if you don’t level up. You have to learn new things and you need to do it consistently to keep on growing and earning money.Today's episode is all about complacency, shiny object syndrome, and analysis paralysis, and most important, how to combat it all and be productive! For more small business and marketing insights, visit Miss Kemya at http://bit.ly/2BNU99U.